Brown Sugar Beauti was founded by beauty enthusiast and blogger, Grace, who has always loved all things beauty…hair, makeup and beauty products. She chose to produce an event for local beauty enthusiasts and businesses to partake in the latest in hair, makeup and skincare for women of color. The Brown Sugar Beauti Expo 2013 was born. Hundreds of Houston beauties and 38 vendors and sponsors made our first-ever event a smashing success! We were featured on Essence.com and in several local publications. Since then, we’ve partnered with local beauty businesses and hosted several beauty events in Houston. Additionally, we’re proud to launch Brown Sugar Beauti signature merchandise! 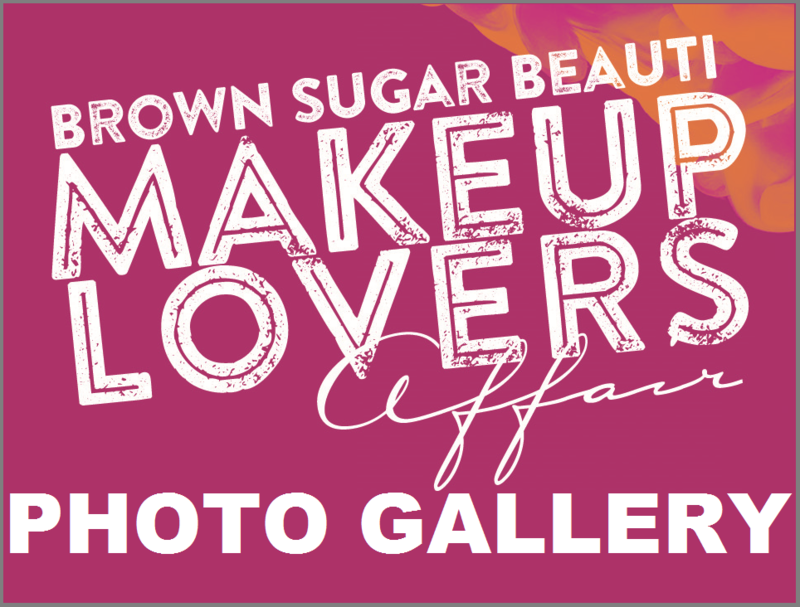 The Brown Sugar Beauti Expo 2014 took place on Sunday, December 7th, from 2PM – 6PM at Venue Houston and featured the best in “all things beauty”. Beauties enjoyed complimentary manicures, waxing and chair massages, makeup and hair makeovers, product samples and giveaways – and the signature Beauty Goodie Buffet – which included products from Jamaican Mango & Lime, Mizani, Taliah Waajid, Earth’s Nectar, Beautiful Textures, Salon De La Soul Sister, Natural Souls Hair Cottage, among others. Host Ashley Simpson effortlessly worked the stage and captivated the audience for the second year in a row. The day’s entertainment featured firestorm poet, Blessed Empress, who performed “In the Middle of My O”, neo-soul songbird, Marium Echo graced the stage with crowd favorite “Trumpet” and an attention-grabbing rendition of Prince’s “Purple Rain”, and Houston’s number one deejay, DJ SupaStar kept the crowd going throughout the entire event. A big thanks to all our guests, businesses, friends and family, who made this amazing event possible! We are thrilled to introduce our expo to the Brown Sugar Beauties of Chicago! Join us for Brown Sugar Beauti Expo 2015 on Sunday, August 16th, 2015, from 4PM to 7PM at the Jackson Junge Gallery 1389 N. Milwaukee Ave, Chicago, IL 60622, in Chicago’s trendy Wicker Park/Bucktown area. Top beauty vendors from the Chicago market will be in attendance! Tickets include complimentary lite bites from Sprinkles Cupcakes, beverages, pampering, giveaways, live beauty demonstrations, our signature Beauty Goodie Buffet and entertainment by Chicago’s finest – Host Takeya Monique, Singer & Poet Christine Whack and Dj Rhated R! This event is 21 and over. Space is limited, so purchase tickets at SHOP.BROWNSUGARBEAUTI.COM today! Advance ticket holders will receive priority in our Beauty Goodie Buffet line. 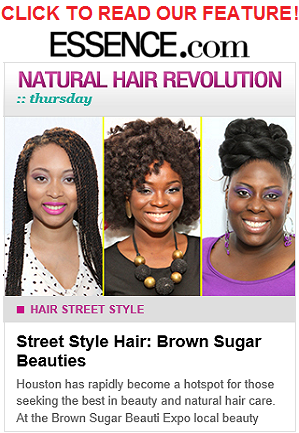 BrownSugarBeauti.com is provided for general informational purposes only. The opinions expressed here are ours and not those of any advertiser, company, affiliate or group. The content published on this blog is protected by copyright, and any unauthorized copying, reproduction, republishing, uploading, posting, transmitting or duplicating of any of the material is prohibited without our express written permission. The information on this blog may change without notice and is not guaranteed to be complete, correct or up-to-date. We reserve the right to remove user posted comments, posts, messages, images or other submissions on or to the blog that is inappropriate or violates copyright law, or suspend access to the blog to any user who violates blog rules. Please do not consider our opinions as substitutes for sound professional advice. By accepting a prize, you understand that Brown Sugar Beauti may not be held liable for any loss, damages or injury associated with accepting or using this prize(s). International readers may not be eligible for all prizes. Contests/giveaways are subject to all federal, provincial and municipal laws.